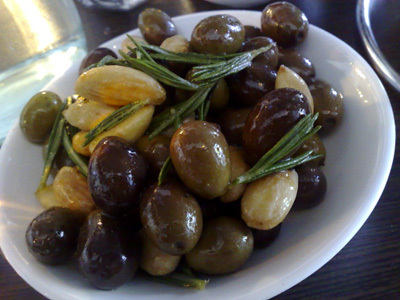 We're back for another Saturday Lunch. 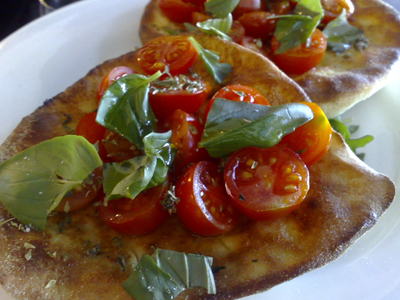 a serving of the tomato and basil bruschetta - the base is cooked in the wood-fired oven. 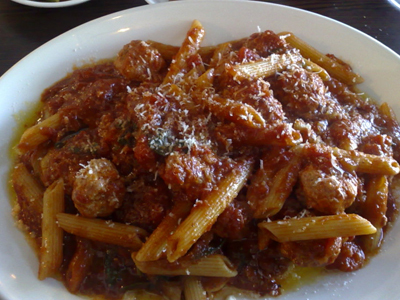 I have the rigatoni with meatballs - this is the main course size and it is rather large. I think that even an entree size would have been more than enough. 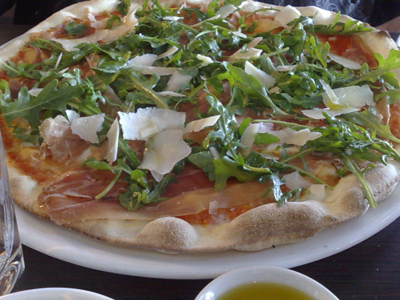 Paalo orders the pizza with prosciutto, rocket and parmesan. The base is thin and crisp, just how we like it.